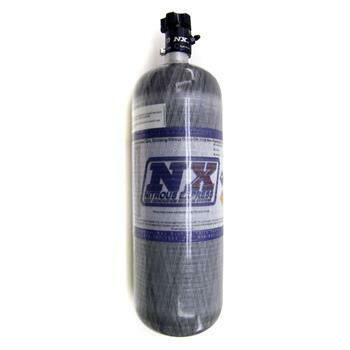 Nitrous Express Nitrous Accessories - Nitrous Bottles UNIVERSAL - MiataRoadster - Stay tuned with MiataRoadster! Even with the use of a high flowing solenoid, you still have to have proper flow to the solenoid. So when Nitrous Express set out to create the highest flowing nitrous solenoid, they had to spend equal time addressing the nitrous bottle valve flow. Steps were taken to match the flow characteristics of the bottle valve with that of the solenoid. The final results led to the highest flowing bottle valve on the market, the Nitrous Express “Pure-Flo 45” bottle valve.